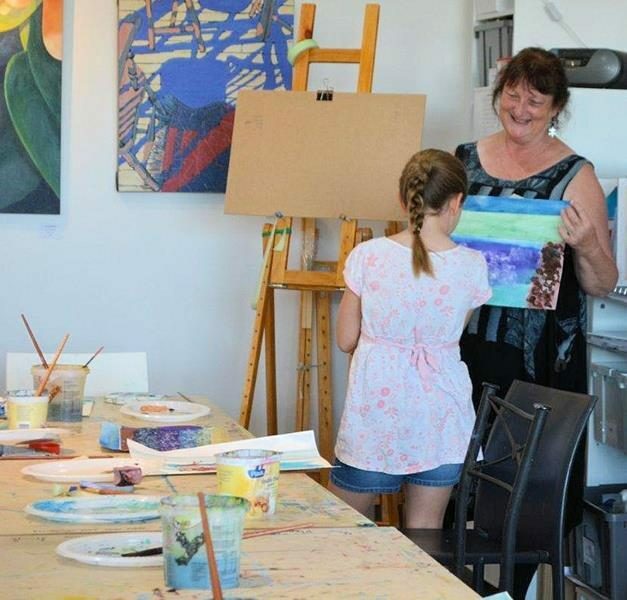 Did you Know that Finite Gallery also holds Arty Parties for all ages? Not Arty? No worries! You will be given gentle tuition by an experienced artist so that everyone goes home with a result. 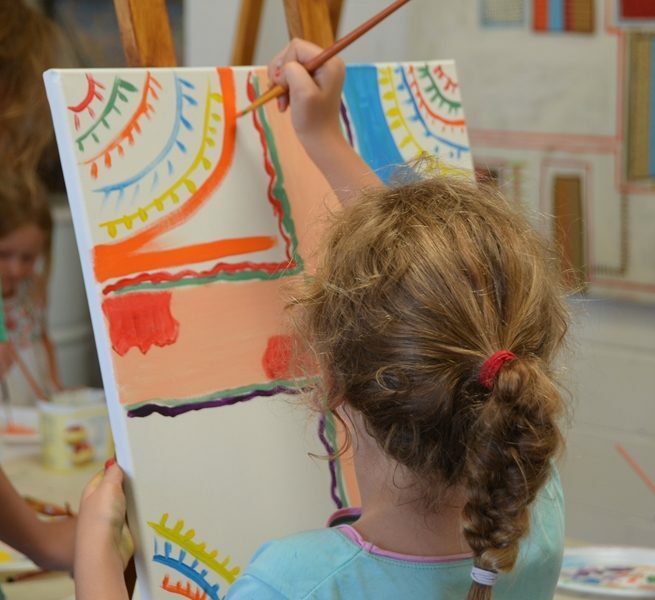 We provide all the art materials – you bring along your chosen food and beverages and a sense of adventure. A great way to celebrate a Hen’s Night, Birthday, Retirement, or just fun get-together with friends or work colleagues. Call Leslie to discuss your requirements. 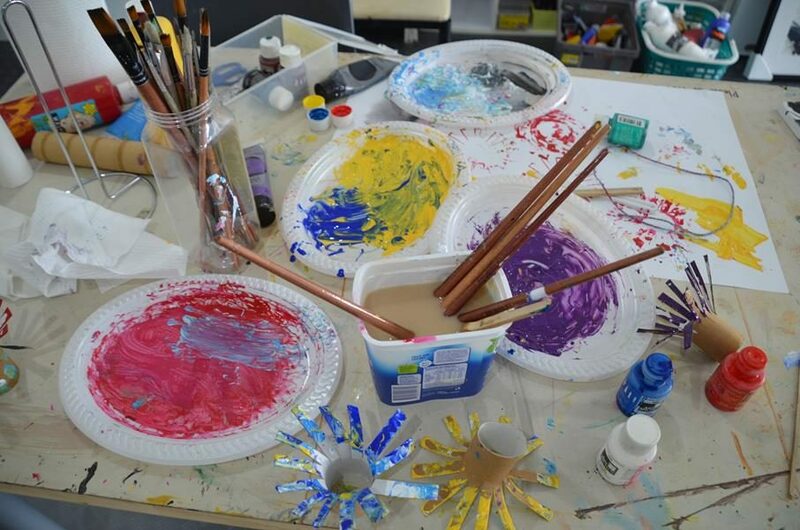 Have you always wanted to try your hand at painting? Perhaps you have been teaching yourself to paint, but are not sure what to do next? 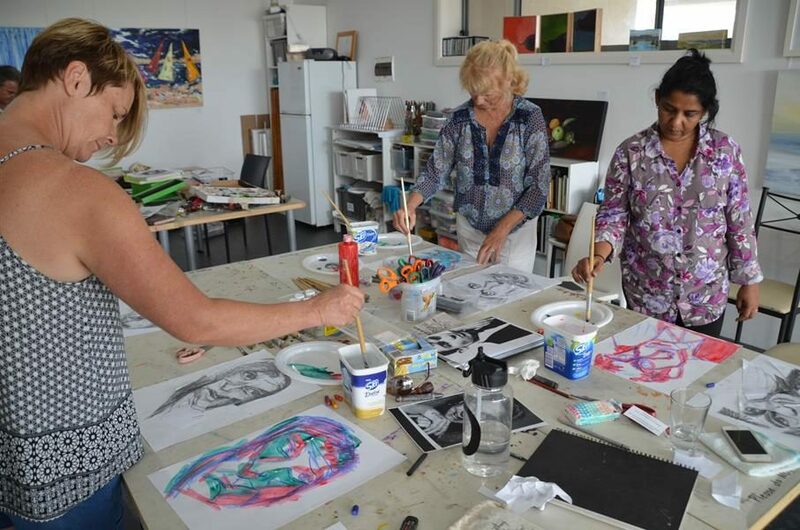 Maybe you would just like to join a group to paint and meet other like-minded people? If you answered YES to any of these questions, then this might be the class for you! 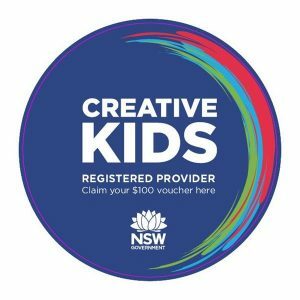 Each week, Leslie will offer advice and gentle encouragement to help you realise your creative goals. Bring your paints, brushes and surface to paint on. The kettle will be on for a cuppa and a biscuit! 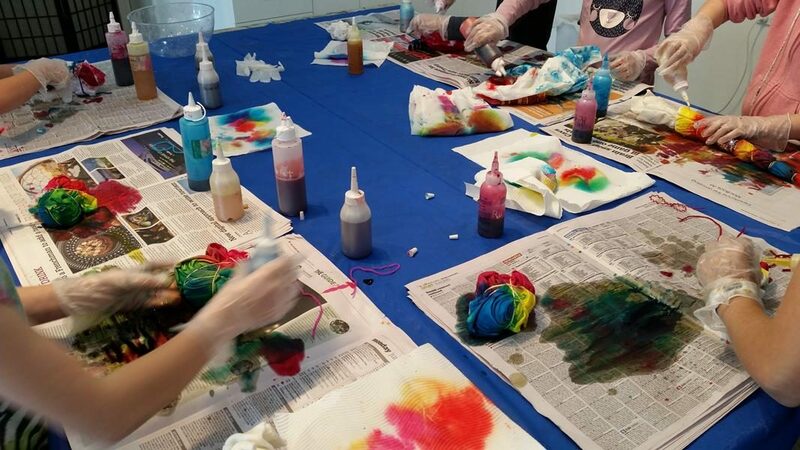 Once again we are holding the popular tie dye workshop! Give your t-shirt, pillowcase or even your socks a brand new look with a colourful tie dyed treatment. Cost: $30 plus your own item to dye. 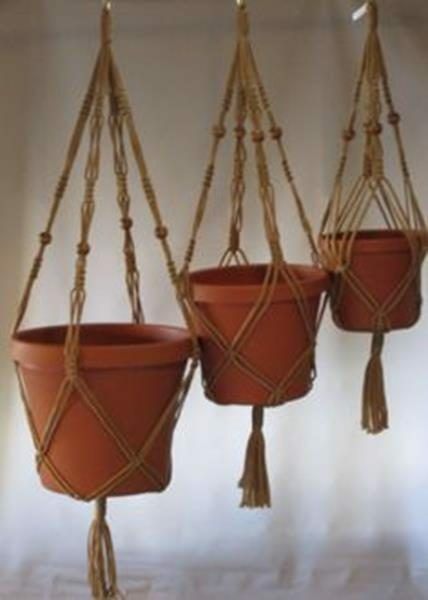 Create a plant hanger using basic macrame knots and techniques. If you can tie your shoelace, then you can do macrame! Mix it up with paint, printing, collage and drawing. Enjoy the fun of layering and using different techniques to create an artwork. 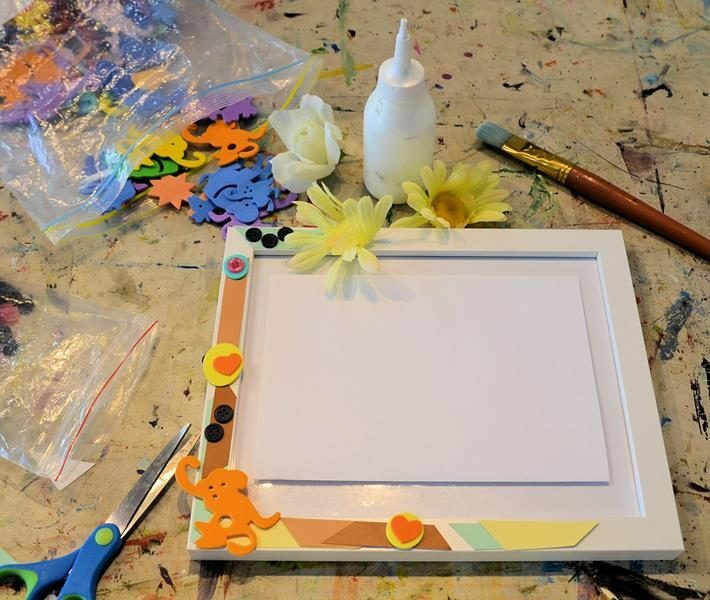 Decorate a frame in your own style using collage and paint. Add your own artwork or photos when it is finished. During the weekly art classes the children are introduced to a variety of media and techniques including painting, drawing, print making, sculpture and clay. By providing them with knowledge of materials and techniques, they are more able to make choices in ways to express their own creative ideas. The language of art is also introduced through looking at work in the gallery and in the gallery library. By talking about styles, techniques and subject matter, the children are better able to convey their thoughts and feelings about their own work and the work of others. Cost: $180 / 10 week term. All materials are supplied.